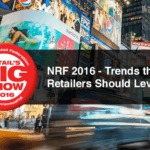 Year 2014 saw businesses of all kinds, from casinos to museums and stadiums, venture into proximity marketing and try solutions such as beacons to enhance consumer engagement. Though, beacons have today reached mainstream, most marketers are still unsure about how to leverage beacons and integrate it with their mobile strategy. This has resulted in a number of disappointing beacon trials too. 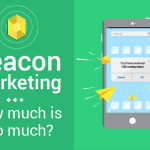 So, what does it take to implement a successful beacon rollout? 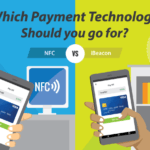 How can brands capture the attention of their consumers and get them engaged using beacons? 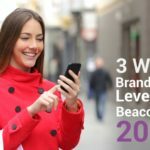 In this post we will talk about 3 mistakes that marketers should avoid in their beacon campaigns. Brands are fast realizing the importance of big data and are investing huge amounts of time and money to gather it. Marketers across various verticals are already inundated with consumer data from divergent sources such as CRM,mobile and apps data, transactional data etc. By implementing proximity marketing campaigns using beacons, marketers will create yet another silo of consumer data. Ideally, such a large repository of data should enable brands to enhance customer experiences in a big way. But currently, that is not the case. One of the main bottlenecks faced by most marketers is that these silos of consumer data remain disconnected. With personalization playing a critical role in enhancing consumer experience, it is very important that brands set up a system that connects these silos of customer data. Going ahead, enriching and personalizing the consumer journey will no longer be limited to tailored product recommendations and offers. Forward-thinking brands will find new ways to make each consumer’s experience unique and memorable. Beacons with their location data and context could be the one perfect solution that makes offline, online, social and mobile data fit together seamlessly. 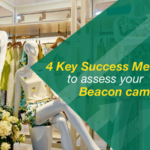 As more and more brands implement beacons, and deploy several number of beacons at their larger outlets, limiting the number of messages that will be received by a consumer in-store will play a critical role. According to a recent study by inMarket, a company that helps brands implement beacons, too many irrelevant push notifications can nudge consumers to uninstall the brand’s app. So much so that, with every other push notification that is delivered per store visit, marketers risk a whopping 313% drop in app usage. To avoid this, brands need to strictly follow certain rules of engagement. For example, brands can use beacons to detect the threshold time for each section at their store, by tracking consumer dwell time at different sections. The average dwell time spent by consumers at a particular section of that store, when they are interested in buying products from that section, is then termed as threshold time. For example, if a store has set four minutes as the threshold time, it indicates that the there is a higher chance of a customer buying a product, if he or she spends more than four minutes at a particular aisle. This approach will help brands ensure that they trigger ‘interest-based’ messages only to customers who are ready to buy and not spam everyone with offers. Also, in a scenario where multiple brands use the same app, as in the case of a mall, it is best to implement a bidding system for participating vendors to target shoppers while adhering to fixed rates of messaging. While brands all over are busy leveraging beacons to bridge the offline and online worlds, it’s crucial that they understand that by merely using beacons to push marketing notifications, they are contributing to a bad user experience. According to a recent eMarketer report, consumers have begun to expect more of personalized offers and services rather than mere blanket discounts from brands. Therefore, going ahead, customer loyalty programs will reward consumers for their actions and engagement, rather than just purchases.